Discover Yeshua in the Torah! Learn to see Messiah on every page of Torah! This study uncovers Yeshua hidden in the books of Moses, establishing him as the predicted Messiah, the Son of David, savior of Israel, and hope of all mankind. 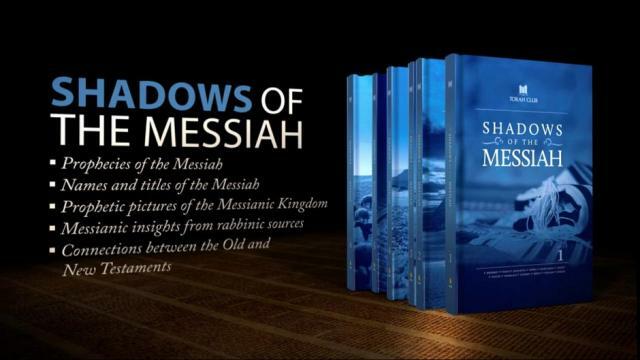 Shadows of the Messiah presents an eye-opening, year-long discovery of Messiah in the books of Moses. Our Master declared, "Here I am—it is written about me in the volume of the scroll" (Hebrews 10:7). The Torah is the Word of God, and Yeshua is the Word made flesh. Shadows of the Messiah is like walking the Emmaus Road with Yeshua when, “beginning with Moses and all the Prophets, he explained to them what was said in all the Scriptures concerning himself” (Luke 24:27). You will feel your heart burn with excitement as you dive deep into the study of Torah every week, and experience real encounters with the Living Yeshua. This Torah study contains great source material for personal study, riveting sermons, and small group bible studies, with responsible and trustworthy scholarship, carefully documented from ancient Jewish sources and rabbinic commentaries. Book One: Teaches through the stories of Genesis while revealing prophecies and hints about the Messiah in the lives of Adam, Noah, Abraham, Isaac, Jacob, and Joseph. Book Two: Teaches through the stories of Exodus while revealing prophecies and hints about the Messiah from the life of Moses, the exodus from Egypt, the giving of the Torah at Sinai, and the construction of the Tabernacle. Book Three: Teaches through the laws of Leviticus while revealing prophecies about the Messiah in the sacrifices, the priesthood, the Sanctuary, the festivals, and dietary laws. Book Four: Teaches through the stories of Moses and the children of Israel in the book of Numbers while revealing prophecies about the Messiah in the census, the twelve spies, the rejection of the land, Korah’s rebellion, and the prophecies of Balaam. Book Five: Teaches through the book of Deuteronomy to the edge of the promised land while revealing prophecies about the Messiah in the words of Moses. Appendices: Includes additional essays, maps, charts, diagrams, indices, bibliography, and other useful tools to assist you in your study of the Torah. 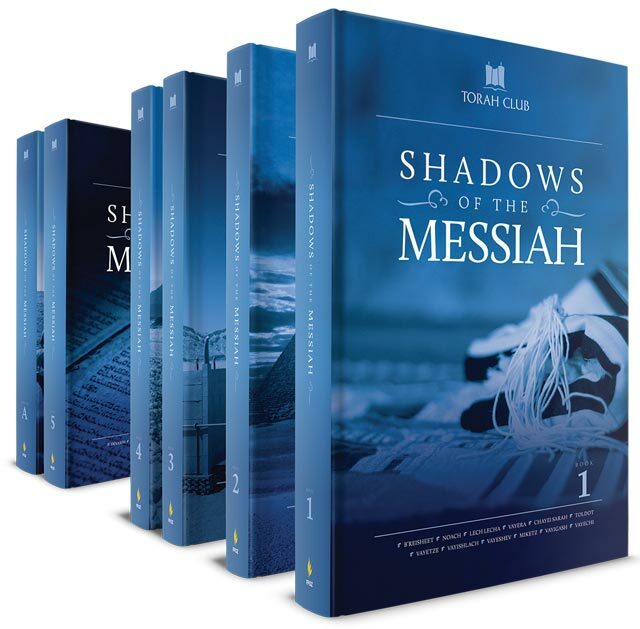 Shadows of the Messiah Audio Commentary on Yeshua in the Torah contains fifty-four audio chapters corresponding to the fifty-four Torah portions. The audio magazine supplement includes an in-depth parashah overview, a focused teaching on a Messianic aspect of the parashah, a unique teaching about the names and titles of the Messiah, and a children’s story about the Torah portion. Overview: Boaz Michael provides a quick overview of the Torah portion with Messianic highlights. Midrash: D. Thomas Lancaster takes students deeper into the search for the shadows of the Messiah in the weekly Torah portion in fifty-four faith-exciting teachings. Torah Kids: Enjoy a story from the weekly Torah portion told on a level that a five-year-old can grasp. 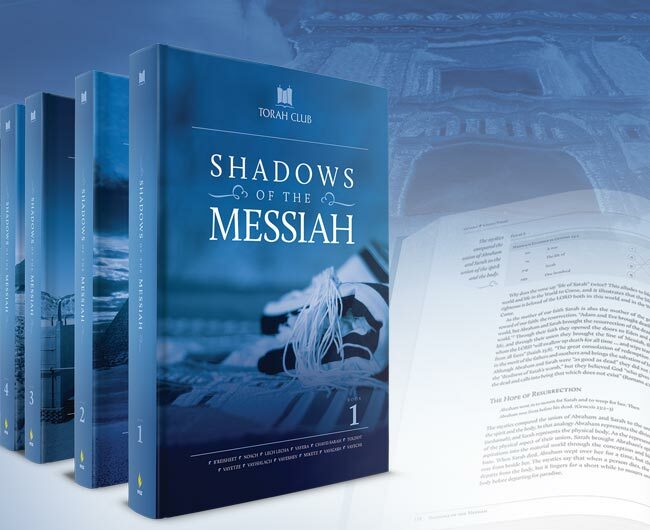 Names of Messiah: Short studies on the cryptic titles for Messiah, read from the Vine of David book The Concealed Light.